Since yesterday, the weather is pretty nice. During my 2 weeks stay, this is the best so far and the only time that the temperature is positive Celsius. This afternoon, I bravely went outside knowing that it will be 1C between 2-3pm. 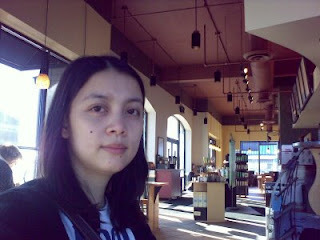 So here I am at Starbucks, drafting this blog entry. 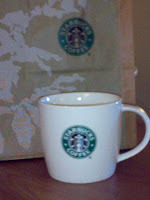 They don't have free Wi-fi here as I thought... And I am not willing to spend $5 for it on top of my grande cafe mocha and China made Starbucks mug. Oh well, same in Manila were you rarely get free Wi-fi. I've got to go now, it might get colder outside and I still have to walk back to the hotel. You'll know I got back safely when this entry is posted. Catch up later.